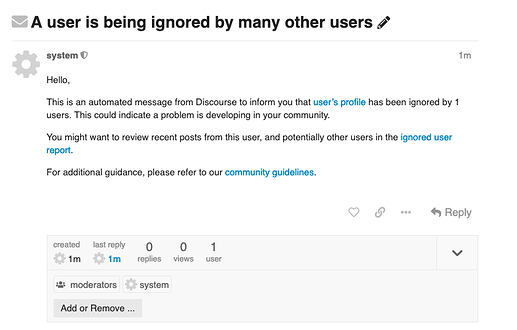 I am a user, I want to ignore a specific user’s posts due to X reasons. It might be a little tricky to Watch a user you ignored again since you might forget that User’s profile or name. Can’t there be a section in everyone’s profile for “Ignored users” much like we have on FB or Instagram for “Blocked Users”? From there we can easily Un-ignore a user if we want. What’s the thinking on this being excluded? Also hide any quotes of an ignored post? Ignore other common sources of harassment, such as likes or PMs? Kudos for the work on this feature! Online harassment and bullying are genuine, present-day issues that lead to reduced participation, chilled speech, and derailed conversations. I’m excited to see Discourse address this directly! The feature is a work in progress – we are also going to hide the first post by the ignored user, but we have to invent a bit of new UI for that, first. How do we “unhide” the OP? It will be enabled by default in the next beta. Right now it is behind a flag for testing. It is safe to enable the feature now as it is 80% complete. Thanks for the clarification, gonna update my Discourse then! Ignore doesn’t work when ignored person write something when you reading topic. After F5 post is hidden. 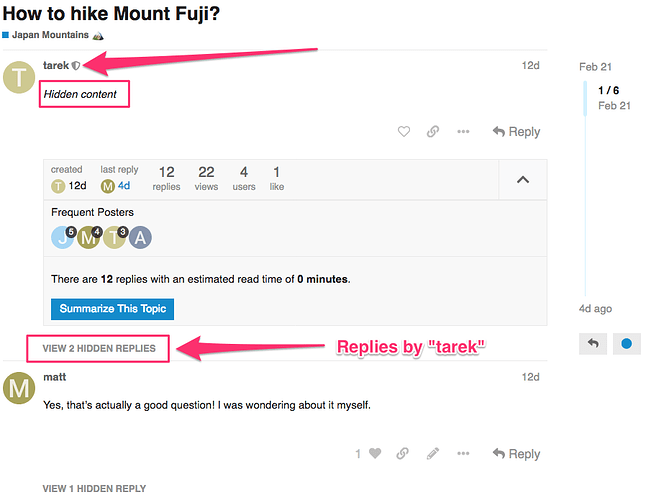 And if topic have 10k+ replays ignored post message ( HIDDEN POST) are not show, same as deleted post are not visible to mods/admins. 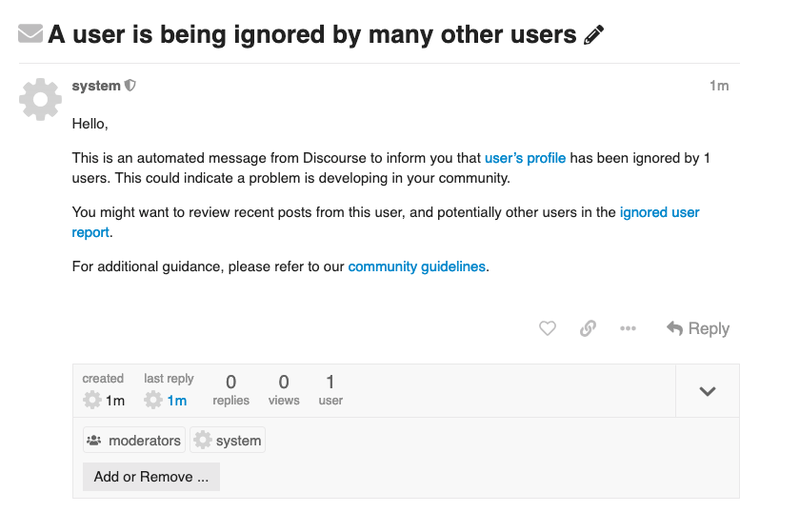 Are you considering to disable the ignore function for specific user groups, especially for team members (mods / admins)? Because when they would be ignored, it will definitely disturb their moderative work! The current version in beta does not allow ignoring of mods or admins (though I can’t find the meta post specifying that outside of the beta release notes). When last post is writed by ignored user we have unread (unseen) count. I don’t think that’s easily (or even not-easily) fixable cc @sam, so it may just be “the way it is” for now.